Not only does Hideo Kojima "really want" to make Zone of the Enders 3, he's promised gamers that it will happen ... eventually. "I cannot make a promise about time. However, I can promise a sequel." 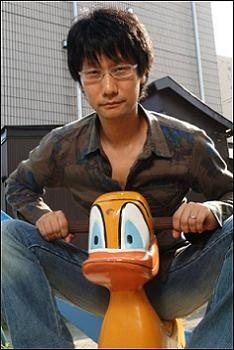 Kojima went on to accept blame for the commercial failure of Zone of the Enders 2: The Second Runner, chalking the disappointing sales (despite critical praise and cult love) to poor scheduling on his fault. "Everything was due to an error by me ... At that time, if I hadn't made a mistake with the release date, [Zone of the Enders] might have ended up a major Kojima Productions title to follow MGS, still seeing development as a series." It's okay, Hideo. Make ZoE3 and I'm sure they'll all forgive you.